Just Listed :: Spacious Townhome in Vinings Forest! Welcome home! 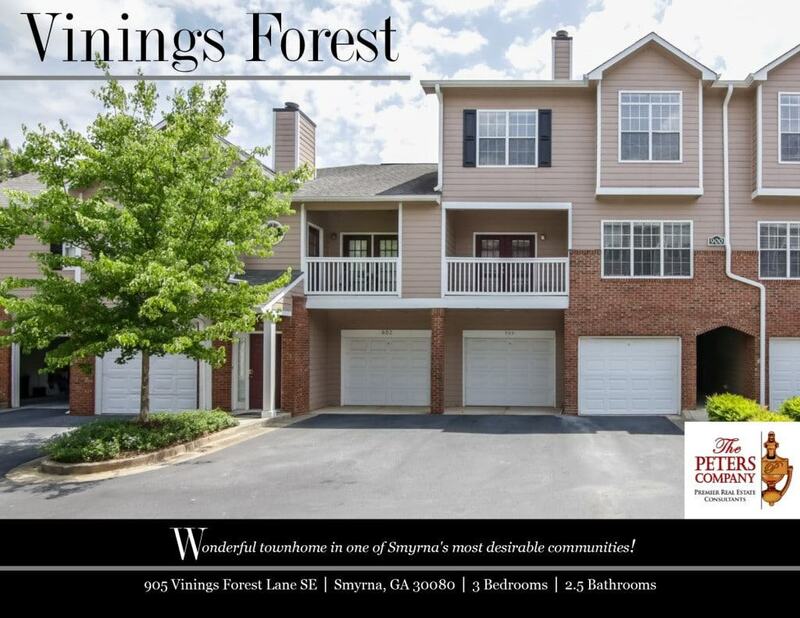 Vinings Forest is a wonderful community in the incredibly popular and fast growing Smyrna/Vinings area of Cobb County. The flowing floor plan, custom features, and charming character of this townhome will never go out of style. The close proximity to I-285 and I-75 makes this property convenient to and from any direction. You’ll also have easy access to the other highways, byways, and activities that make this location such a well-loved destination. You will certainly enjoy being only minutes from Smyrna Market Village, Vinings shopping, several city parks, and SunTrust Field (future home of the Braves). · Kitchen features ample cabinet and counter space, pantry, and breakfast bar. · The spacious living room boasts a cozy gas fireplace and plenty of natural light. · The separate dining area is perfect for entertaining guests or casual meals at home. · Additional bedrooms are well-sized and bright with generous closet space. · The covered balcony is ideal for outdoor enjoyment. ← Just Listed :: Updated Townhome in Brookhaven's Druid Knoll!